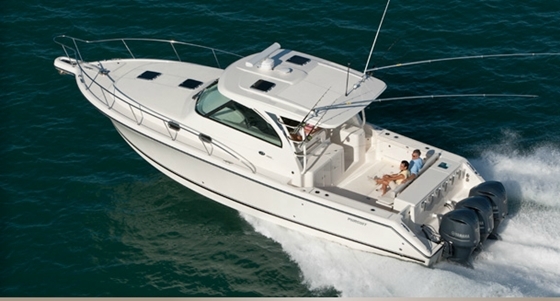 Now here's the perfect yacht for the Pacific Northwest. 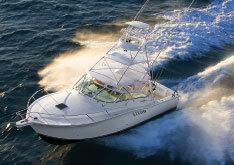 Daybreak is a Tollycraft 43 built on a rugged semi-displacement, solid fiberglass hull. She bears a distinct trawler-style tri-cabin profile and has a reputation as one of the best rough weather vessels made. 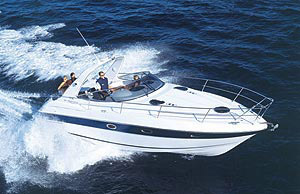 A sharp entry and a full length keel provide good handling characteristics, while her flat aftersections allow the 43 to cruise efficiently at 12 knots with the Caterpillar 3208 naturally aspirated diesels. She has full canvas and both an upper and lower helm station. Her interior is crafted in fine teak paneling and she has lots of storage space. 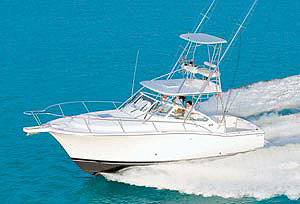 What is really nice is the wide walk around decks and the aft cockpit area suitable for easy boarding and even fishing. 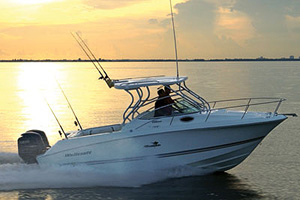 Daybreak comes complete with a nice rigid hull tender and Yamaha kicker.